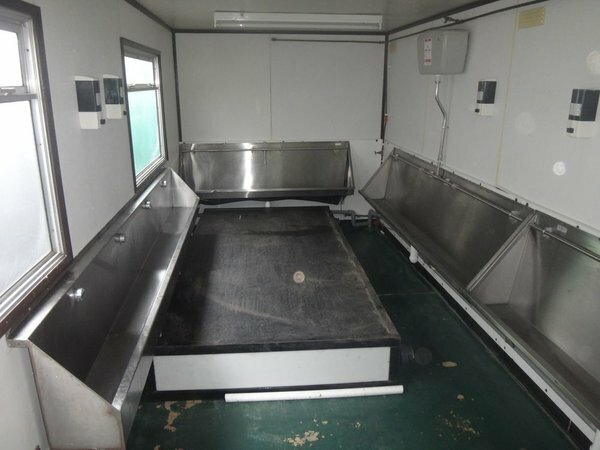 Self-Contained Decontamination Shower: A single axle trailer equipped with LPG Water Heater, shower compartment with one shower point, Office/Mess/Galley area equipped with seating, table, sink, electric hotplate, microwave and fridge. 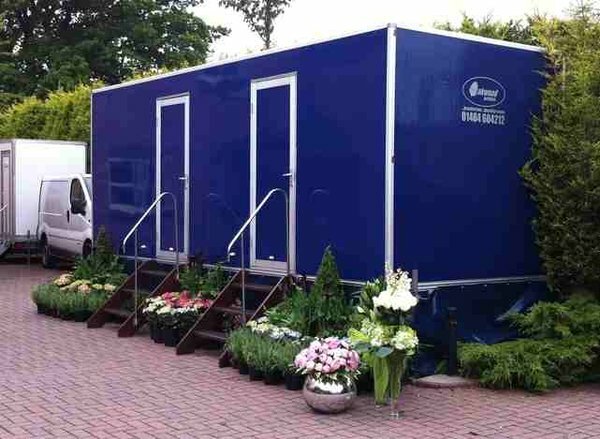 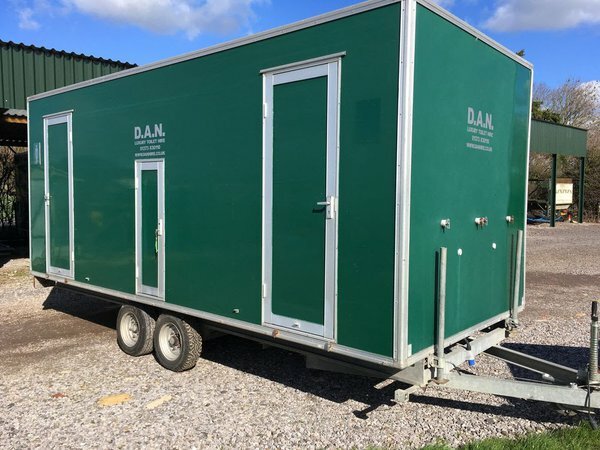 This trailer is self-contained i.e. 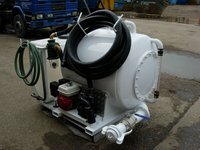 has an integral generator to power the trailer and an onboard water tank of 180 litres to supply the shower and galley. 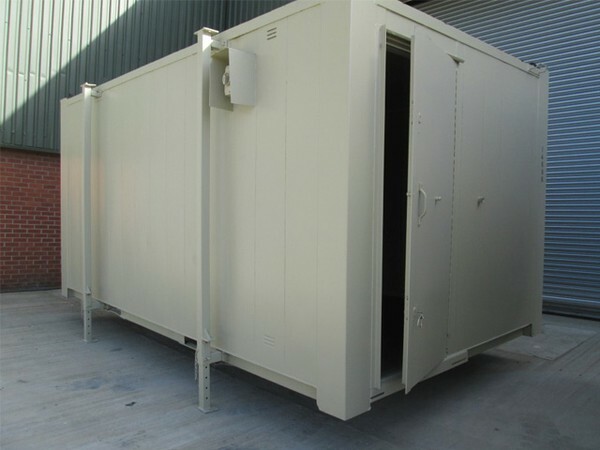 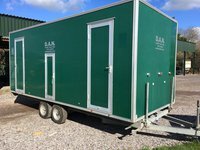 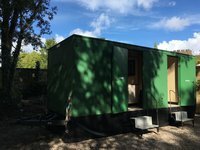 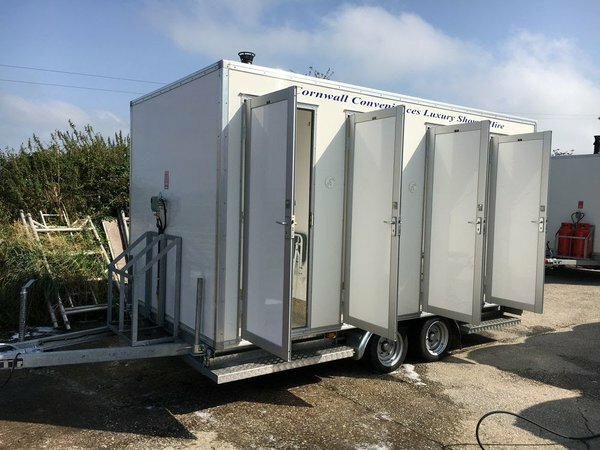 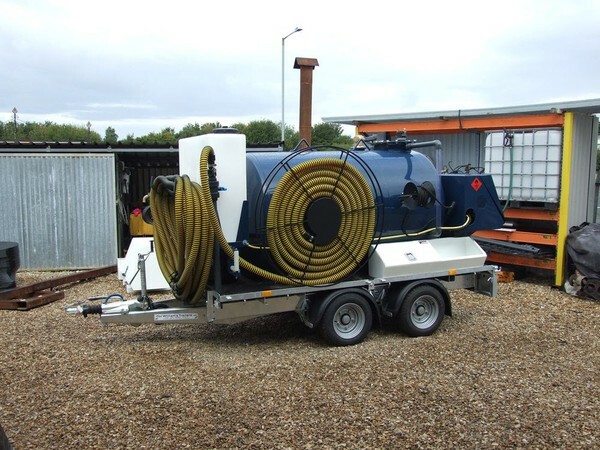 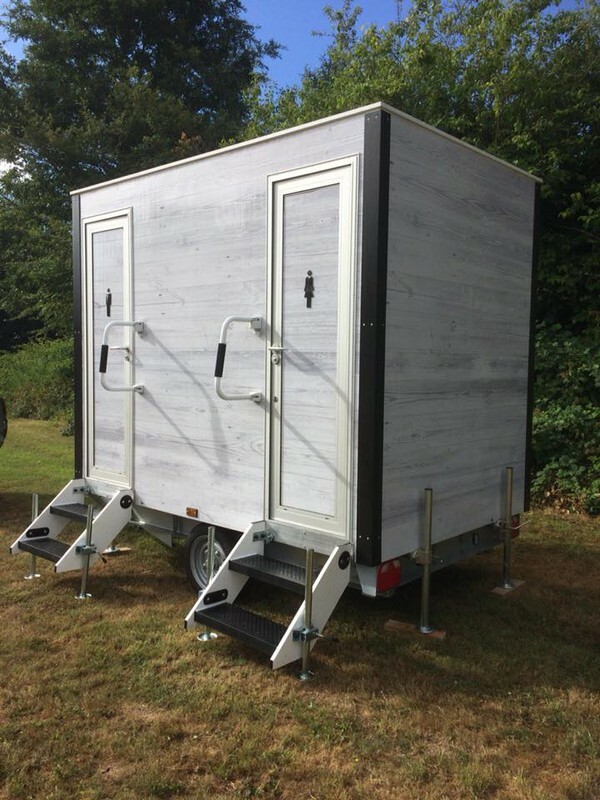 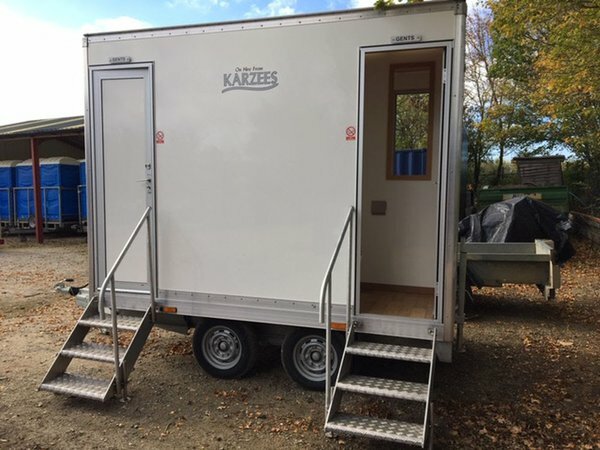 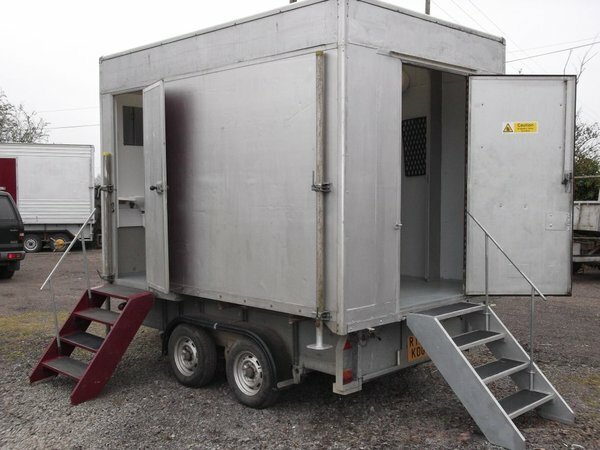 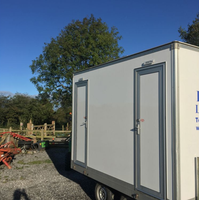 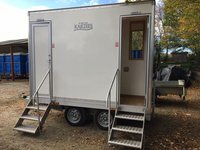 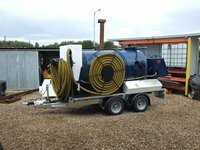 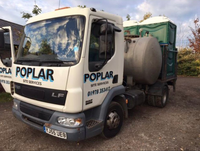 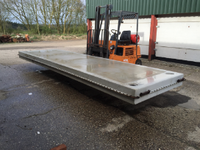 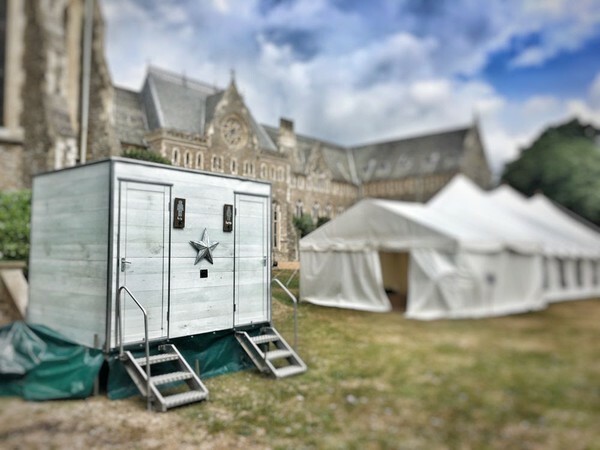 The trailer can also be connected to and operate using external utility supply where this is available. 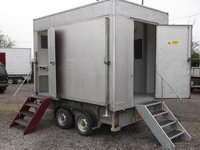 Trailer is equipped with standard 50m ball coupling, Bradley Hydratow over-run breaking system, and 12v road lights. 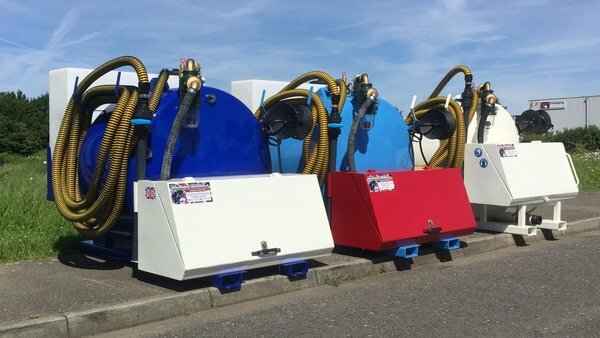 External power coupling (where external power is available) is through a 240v 16A chassis plug, water through standard 15mm hose connection; (optional) waste-water pump away system available. 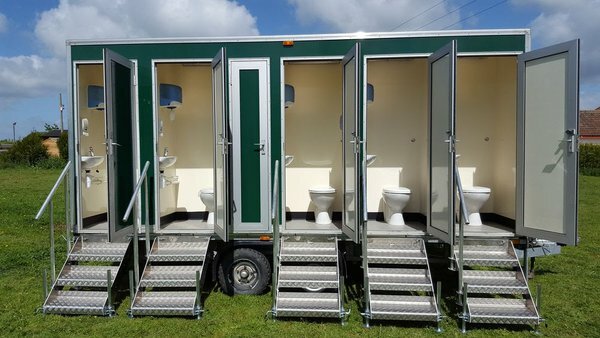 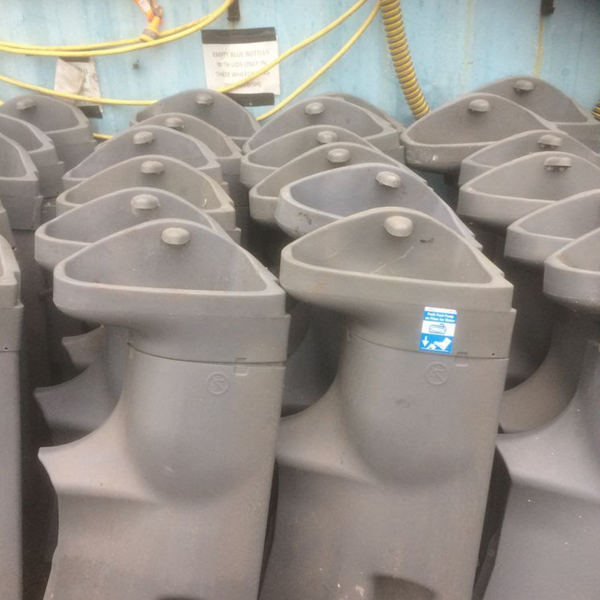 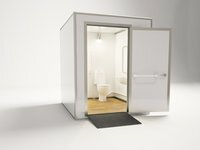 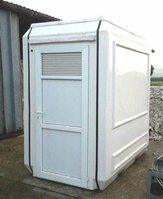 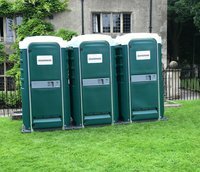 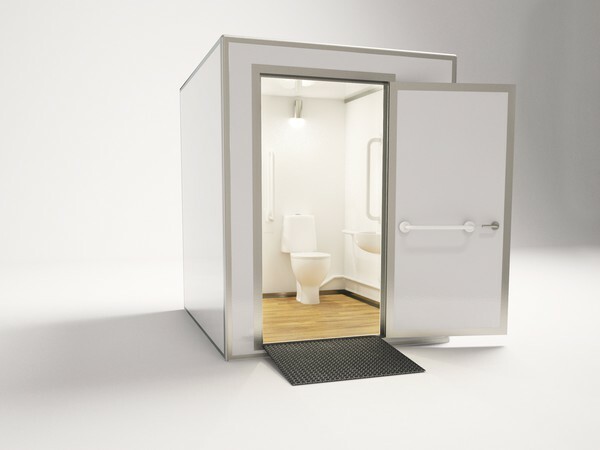 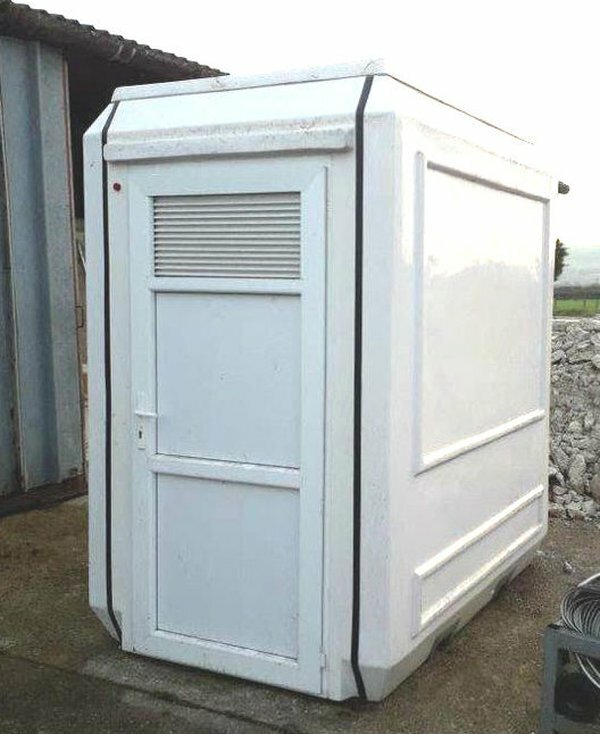 We are looking for a toilet for use on a farm mainly for group visits. 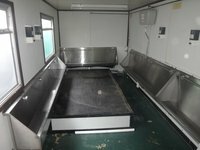 It needs to be in good condition and suitable for disabled users. Luxury 4 Bay shower trailer. 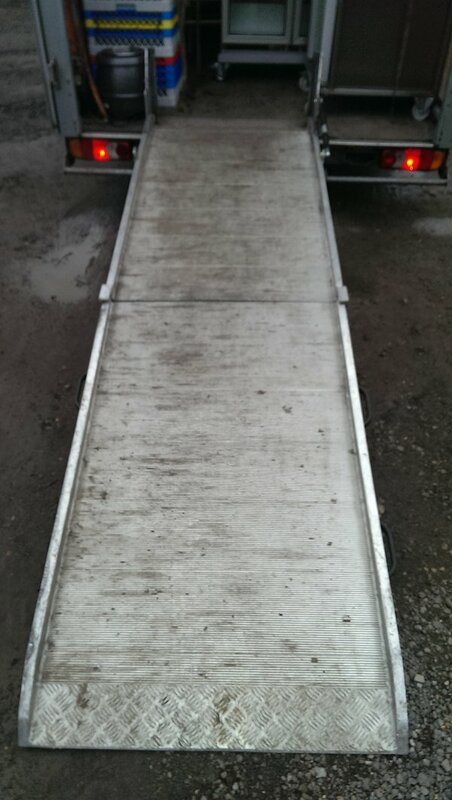 on site and in yard easy and quick work. 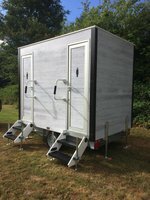 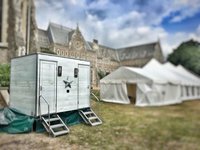 Its has a Rinnia hd50 boiler, lowara water pump and an on board 700 litre fresh water tank to illimunate problems with low water pressure on site at festivals and such like. 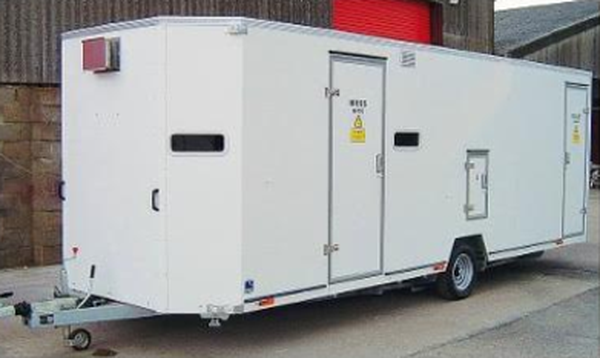 We have reached brilliant hire prices with the units and had nothing but good feedback. 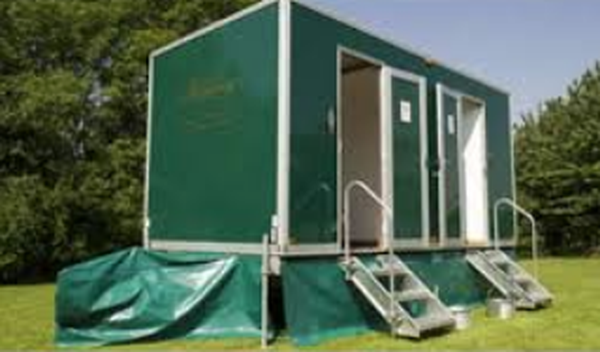 Good quality, good condition disabled toilet preferably green in colour. 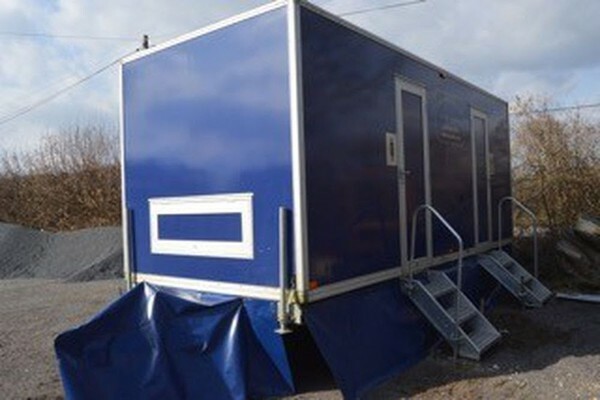 This is a Portacabin built in 1990/1991. 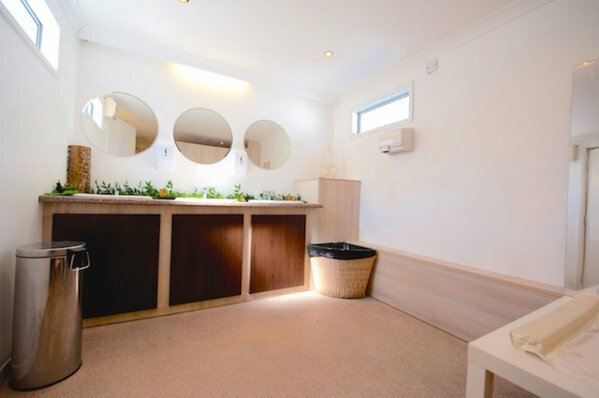 Was originally a boys /girls toilets in a school. 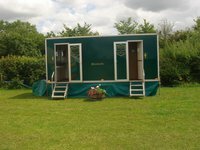 I bought it in 2008 and converted and added the showers. 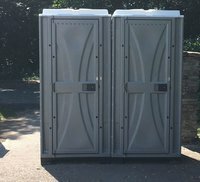 In the male section, we have one toilet one shower and one urinal and two wash basins. 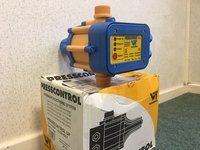 There is a immersion copper tank with 2 immersion heaters inside it. 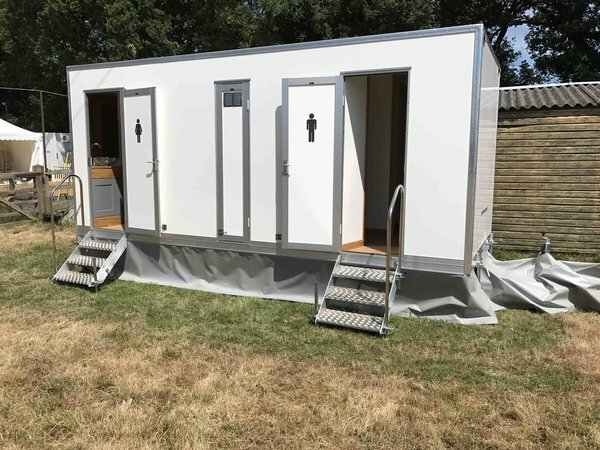 Luxury modern Cabin fitted out with 4x Ladies Restroom/Toilets which was used for only wedding events in previous season, however now looking for a larger cabin hence sale. 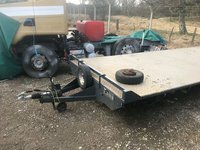 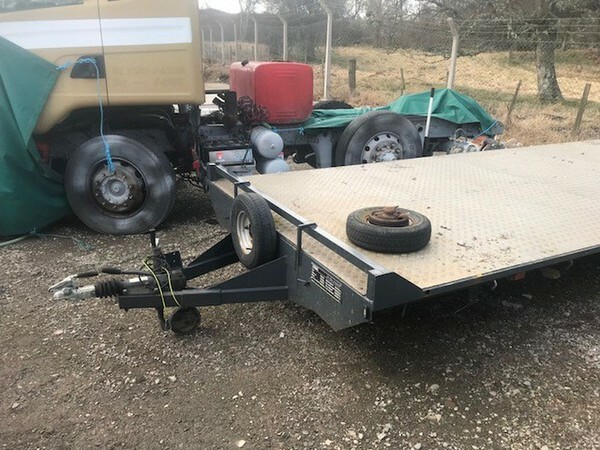 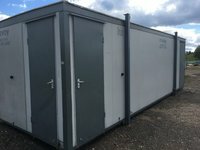 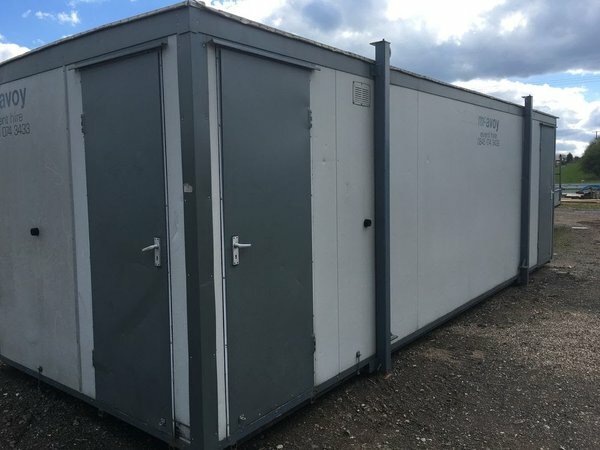 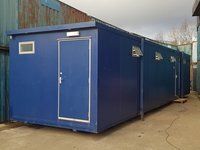 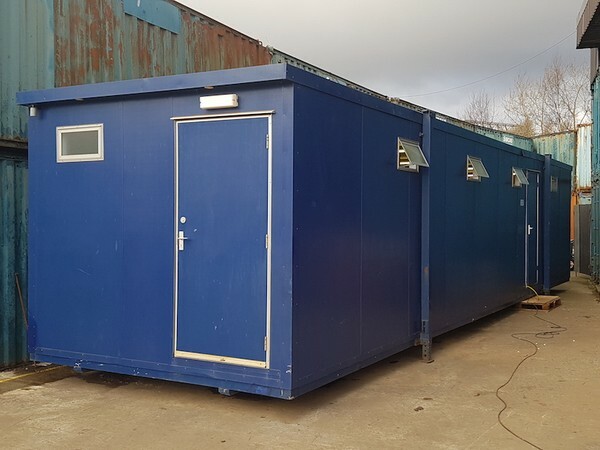 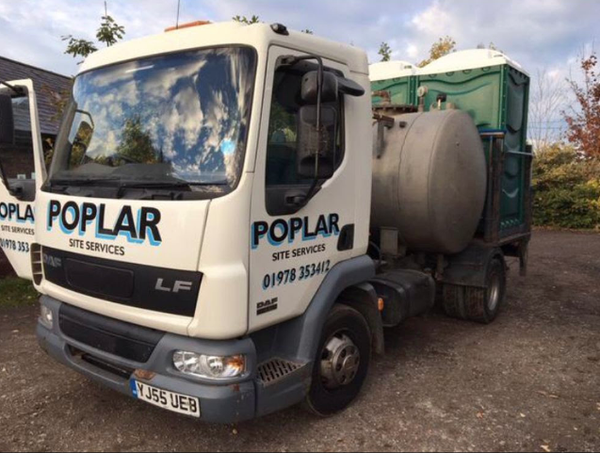 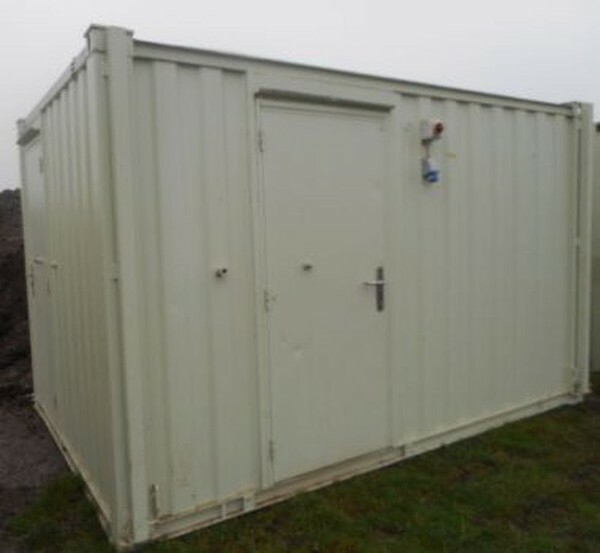 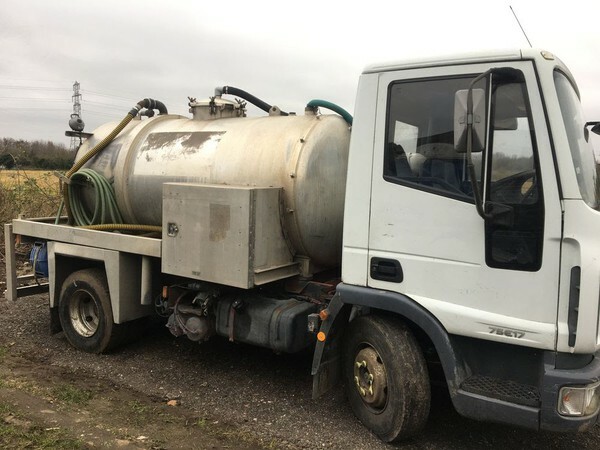 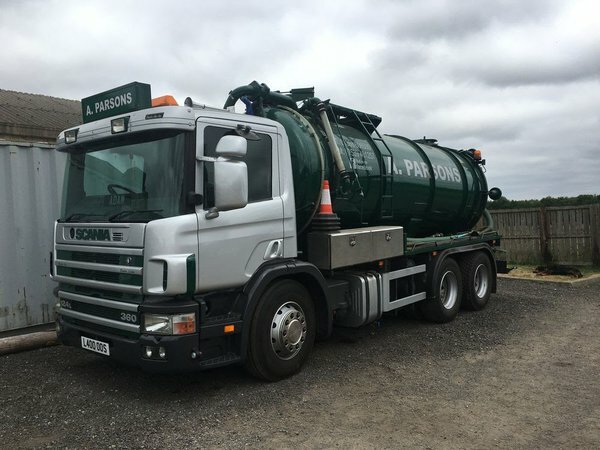 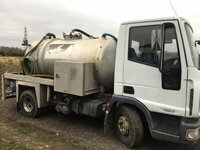 It’s in very good working condition which connects to mains or can be run by generator and waste storage tank if needed. 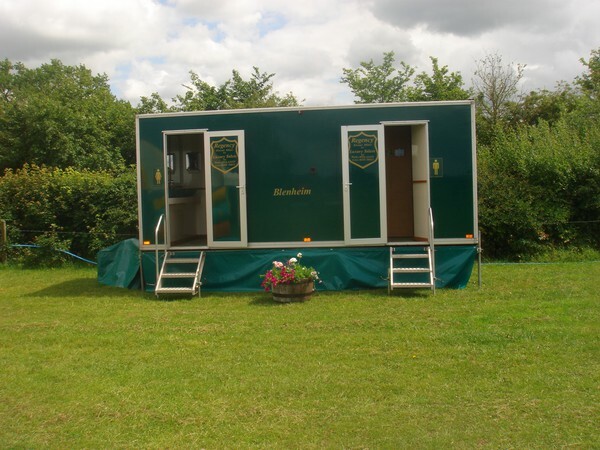 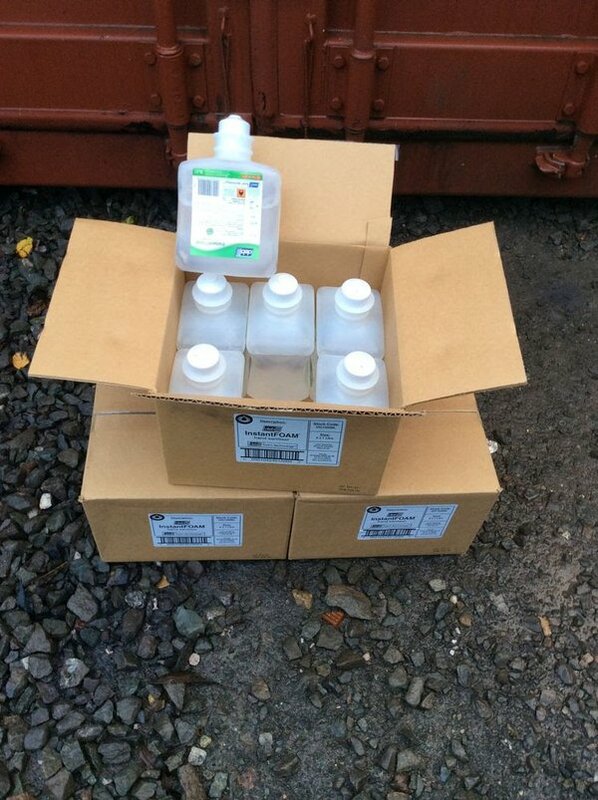 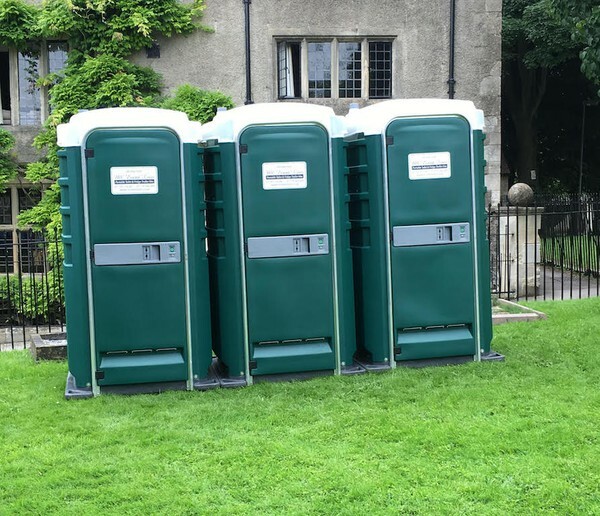 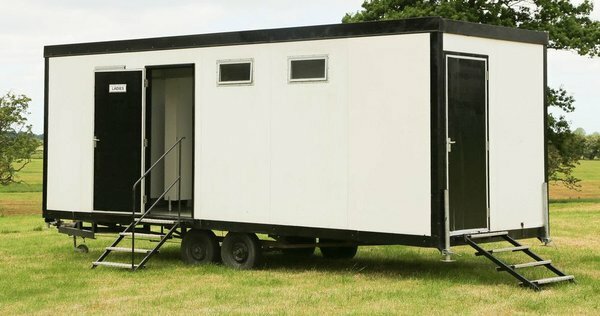 Ideal for short, long term or permanent use for Marquee events, Camp sites & Sports grounds etc. 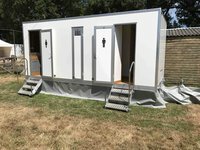 Cabin can be easily converted for male use if required. 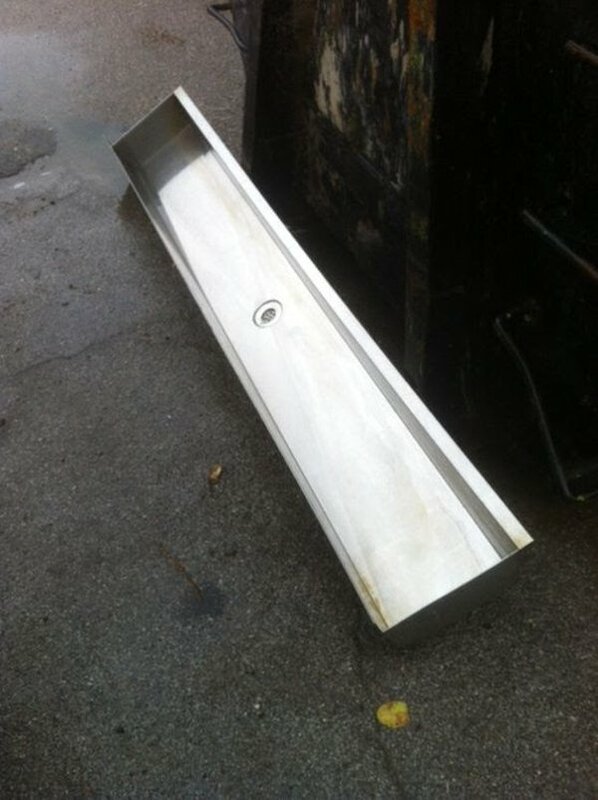 Wall mounted Commercial Stainless Steel Urinal in good condition. It's around 3m long x 30cm wide.